interested in yoga and singing. Suitable for singers who want to learn yoga technique and how it can help prepare the body for maximum vocal resonance, and for yogi’s interested in learning the fundamentals of healthy vocal technique. AVAILABLE TO ANYONE & EVERYONE WHO IS INTERESTED. The type of yoga we will do is gentle hatha style. All exercises can be adapted to chair yoga so you don’t have to be “super bendy” to participate!! But if you happen to be a super bendy person and/or already know a lot about yoga and what your body likes in terms of opening and preparing for singing, she welcomes students to go with their own flow. Ultimately teaching students enough yoga repertoire that they can follow their own flow is Sandi's goal for all her students. beside St. Paul’s Anglican Church, 1140 Jervis Street, Vancouver, BC. Make Up missed classes on the alternate day of the same session. 90 minutes each week of gentle yoga and singing. Lifetime Access to the members website with notes and recordings of each class. Optional: Enjoy tea together after each Monday session or Lunch out after Friday session. Everything you get in the Regular Session at more than 20% off! 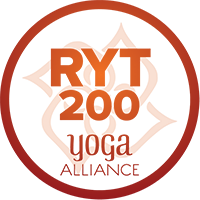 2 x 90 minutes each week of gentle yoga and singing. Monthly Payment Option Available on Request. 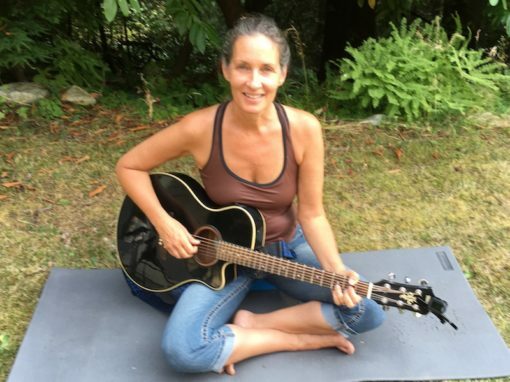 Sandi has been singing and practicing yoga for over 35 years. She became a voice instructor in 1993 after completing her graduation recital at Capilano University’s Bachelor of Jazz Studies Vocal Performance Program. Since then she has taught hundreds of vocalists and become a contemporary vocal technique aficionado! Her awareness of subtle body energy and her ability to explain “technique” in ways that students understand and can apply themselves has earned her a long standing reputation as a teacher who produces results. 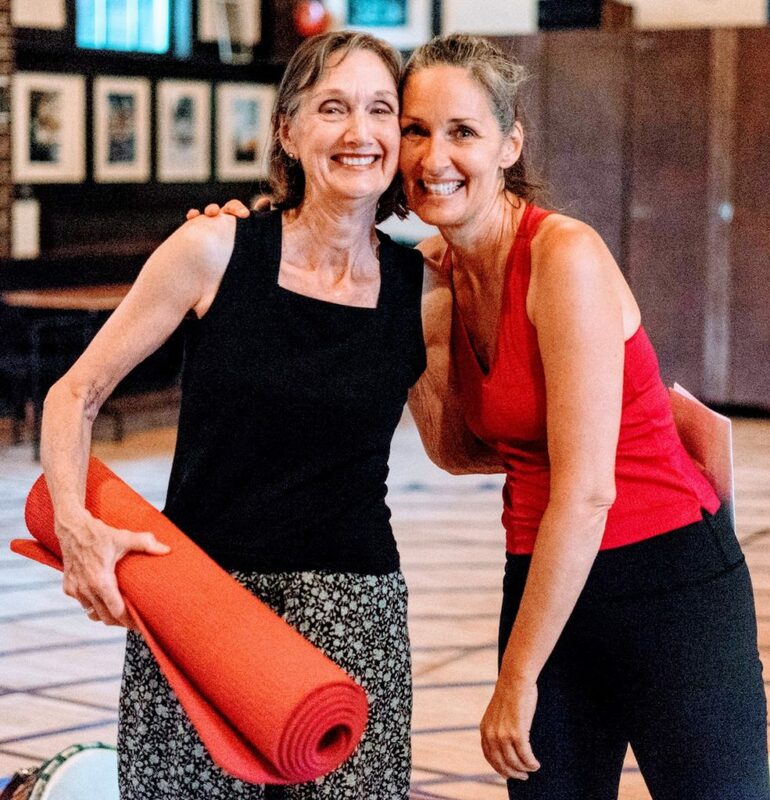 When taking her yoga teacher training at Langara College in 2013 she recognized the similarities of subtle body energy work in using that awareness to enhance the yoga poses. She always knew yoga was good for singing and vice versa, but after her teacher training she realized that the “technique” of both disciplines were essentially the same thing. 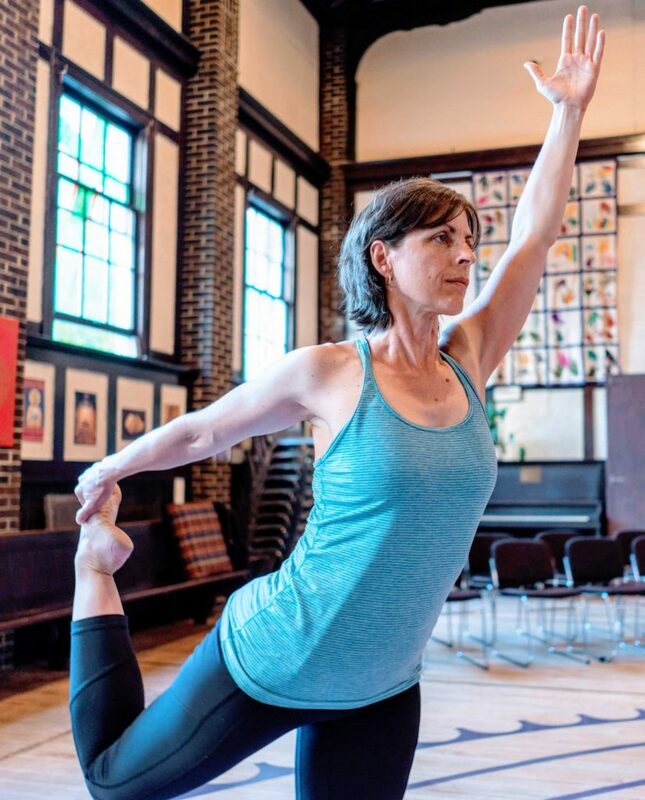 In 2016 she combined her passion for yoga and vocal technique at a 5 day adult choir camp and it was a big hit. She did it again this past summer and many of those students asked her to run a class during the year… so, here it is!